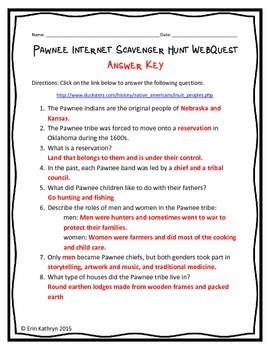 This internet scavenger hunt directs students to http://www.bigorrin.org/pawnee_kids.htm. 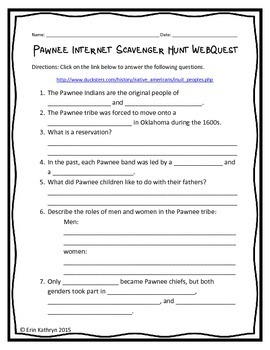 Students are able to research what the Pawnee tribe ate, wore, and how they lived. 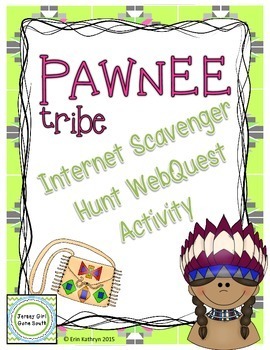 It is an awesome way to incorporate technology into your classroom!